One or more photo(s) has been virtually staged. Nows your chance to live the convenient lifestyle everyone seeks! This beautiful *POOL HOME* is the perfect place to call home with CONSERVATION VIEWS. A lovely front porch welcomes you into this home! A flowing OPEN FLOOR PLAN invites you in, showcasing easy care TILE FLOORS, abundant NATURAL LIGHT, and SLIDING DOORS from the FAMILY ROOM leading into the IMPRESSIVE LANAI & POOL AREA. The kitchen offers plenty of cabinets & counter space, a BUILT-IN DESK, and a BREAKFAST BAR. SPLIT BEDROOM PLAN delivers a FIRST FLOOR MASTER SUITE with an OVERSIZED WALK-IN CLOSET, access to the POOL, and a MASTER BATH boasting DUAL SINKS, GARDEN TUB, and a separate shower. Gather with guests & enjoy family cookouts in the EXTENDED COVERED LANAI & spend sunny days lounging by the screened-in POOL. The FULLY FENCED BACKYARD offers privacy, is perfect for pets & children to enjoy. Perfect location in the active community of AVALON PARK SOUTH VILLAGE with tree-lined streets, A-RATED SCHOOLS, and a plethora of amenities. This ideal community offers resort-style pools, fitness center/gym, tennis/basketball courts, splash pad, playground, jogging/biking trails, dog park, and sports fields. Cable TV included in HOA. 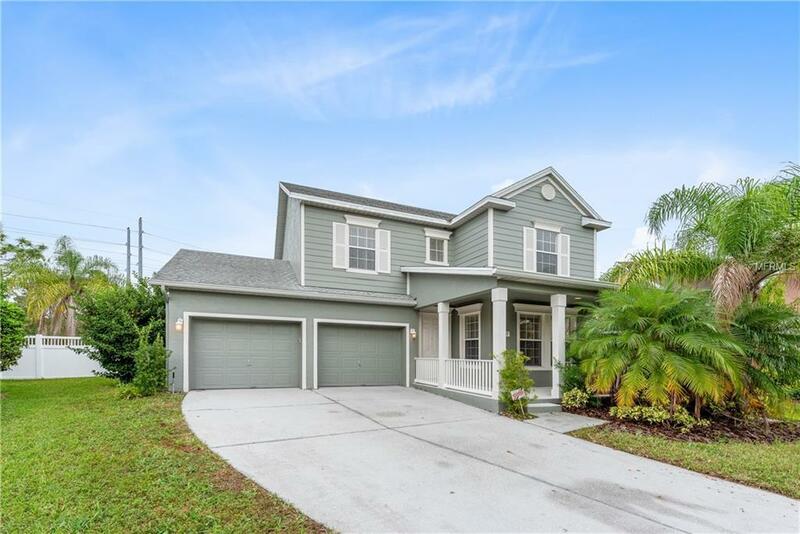 Minutes to the 528 Beachline, 417, 408, UCF, Research Park, Medical City, Lake Nona & The Waterford Lakes Town Center plus only 40 minutes to Cocoa Beach. Avalon Park offers seasonal events, mom-and-pop restaurants, trendy boutique shopping, movie nights in the park & more. Don't miss out on what could be YOUR home!